Alright, it’s been a bit crazy around here lately. Time has certainly slipped away from me. Actually, this whole year has slipped right by. Thanksgiving? Next week? Already? Eek! I should have had this giveaway up weeks ago! Better late than never, right? 😉 So without further delay (being we’re cutting it really close here at the very last minute) let me give you the details of the giveaway. 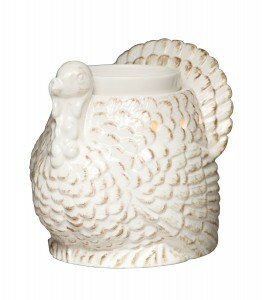 One winner will be receiving a Full Size Tom Scentsy Warmer and 2 bars. The bars will be a surprise, but I promise they will be seasonally appropriate. To enter, we’re going to keep it simple. Just leave a comment with what you are most thankful for this year. The winner will be randomly selected when the contest ends on Wednesday night. 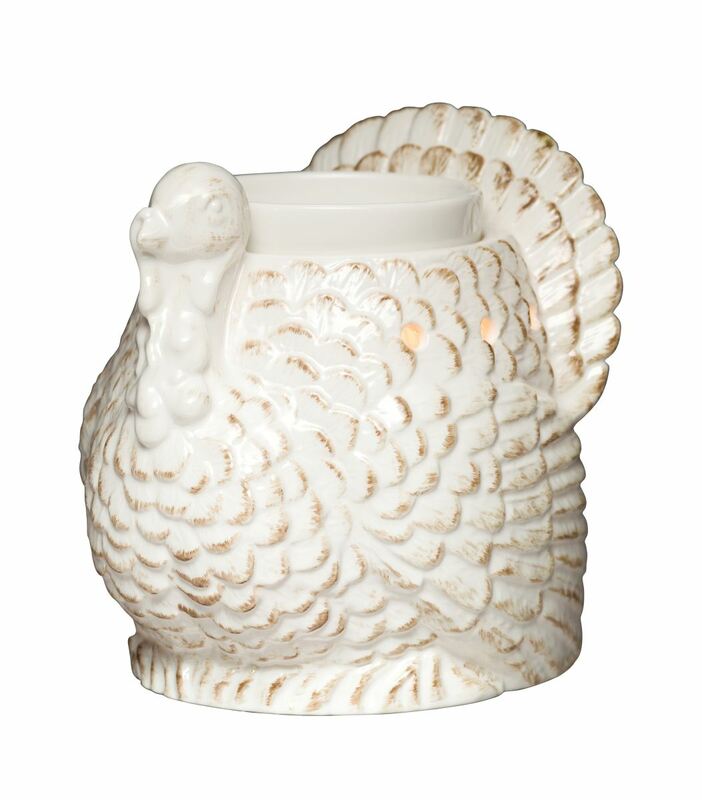 We’d appreciate it if the winner could reply to us ASAP via email with their mailing address so that we can get this Full Size Tom Scentsy Warmer and 2 bars to them in time for Thanksgiving. This giveaway is open to those who are age 18 and over residing in the US only. Writers for Raising Sticky Hands To Heaven, their immediate families, and current Scentsy independent consultants and Scentsy Family employees are not eligible to enter. This promotion is in no way sponsored, endorsed or administered by, or associated with, Scentsy Family. We hereby release Scentsy Family of any liability. Winner will be announced in this blog post in a reply to their comment at, or soon after, 11pm pacific time after the giveaway ends. If the winner does not respond after 24 hours, a new winner will be picked. Please allow up to 2 weeks to receive your prize. RaisingStickyHands.com reserves the right, in its sole discretion to disqualify any person tampering with the entry process, the operation of the web site or otherwise in violation of these Official Rules. RaisingStickyHands.com further reserves the right, in its sole discretion, to cancel, terminate or modify this contest if the contest is compromised by virus, technical corruption, non-authorized human intervention, or any other causes which, in the sole discretion of the RaisingStickyHands.com, corrupt or affect the administration, security, fairness, proper play or integrity of the contest. RaisingStickyHands.com reserves the right in its sole discretion to disqualify any individual it believes has tampered with the entry process. In the event of cancellation or termination, RaisingStickyHands.com reserves the right to select the potential winner in a random drawing from among all eligible, non-suspect entries received prior to date of cancellation or termination. CAUTION: ANY ATTEMPT TO DELIBERATELY DAMAGE THE WEBSITE OR UNDERMINE THE LEGITIMATE OPERATION OF THIS contest IS A VIOLATION OF CRIMINAL AND CIVIL LAWS, AND SHOULD SUCH AN ATTEMPT BE MADE, RaisingStickyHands.com WILL DISQUALIFY ANY SUCH INDIVIDUAL AND RESERVES THE RIGHT TO SEEK DAMAGES (INCLUDING ATTORNEYS’ FEES) AND OTHER REMEDIES FROM ANY SUCH INDIVIDUAL TO THE FULLEST EXTENT PERMITTED BY LAW. If you have any additional questions – feel free to send us an email! 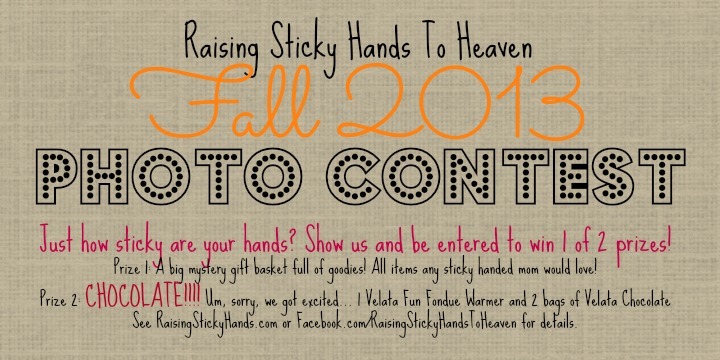 Raising Sticky Hands To Heaven will not sell or use the photos or emails associated with this giveaway in any other way. You’re a busy mom. You give to others and do everything you can to better your family. That’s why we want to pamper you a little! On top of all that you do just being you, we also have something else to celebrate. Last month Raising Sticky Hands To Heaven reached over 1,000 Likes on Facebook. What does this mean for you? TWO WINNERS! 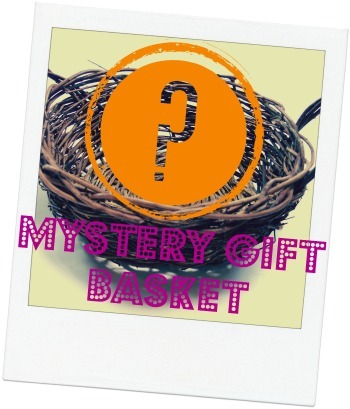 The first winner will receive a mystery gift basket full of many goodies. You WANT this. In it you will find items that will help any busy mom relax, kick back, pamper herself a little, and think about Jesus. The gifts inside have been hand picked by our very own Karen & Emily, so you KNOW it’s gotta’ be GOOD! The second winner is also in for a treat! (HA! Silly pun, sorry.) 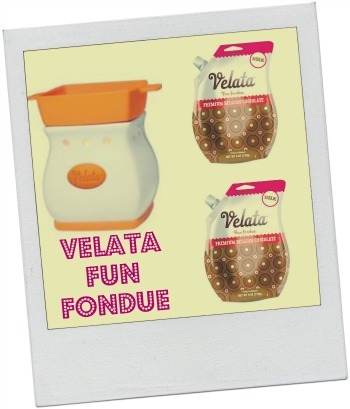 They will receive 1 Velata Fun Fondue Warmer and 2 bags of Velata Gourmet Fondue Chocolate. Perfect for those cold wintry nights coming up! Imagine: snuggling up on the couch with (or without 😉 ) the kids, watching a movie, and dipping your favorite snacks into melted chocolate. Mmm… Is your mouth watering yet? So what do you have to do? Head over to our Facebook Page, click on the contest tab, submit your photo, and then wait to see if your photo is voted for the most. (You are allowed to ask your friends to vote for you, but we please ask that you do NOT cheat. We will be monitoring the votes!) It’s all that simple. Worried you don’t have a photo where you look picture perfect? That’s quite alright, my friend. Just be silly, goofy, crazy… anything. All we ask is that you keep it clean! The contest will end on October 6th, 2013 at midnight pacific time and the winners will be announced on October 7th, 2013. So what are you waiting for? Run and grab a camera and get that photo posted! This giveaway is open to those who are age 18 and over residing in the US only. Writers for Raising Sticky Hands To Heaven, their immediate families, and current Velata independent consultants and Scentsy Family employees are not eligible to enter. This promotion is in no way sponsored, endorsed or administered by, or associated with, Facebook or Scentsy Family. We hereby release Facebook and Scentsy Family of any liability. Winner(s) will be contacted by email 48 hours after the giveaway ends. If the winner does not respond after another 48 hours, a new winner will be picked. Please allow up to 6 weeks to receive your prize. RaisingStickyHands.com reserves the right, in its sole discretion to disqualify any person tampering with the entry process, the operation of the web site or otherwise in violation of these Official Rules. RaisingStickyHands.com further reserves the right, in its sole discretion, to cancel, terminate or modify this contest if the contest is compromised by virus, technical corruption, non-authorized human intervention, or any other causes which, in the sole discretion of the RaisingStickyHands.com, corrupt or affect the administration, security, fairness, proper play or integrity of the contest. RaisingStickyHands.com reserves the right in its sole discretion to disqualify any individual it believes has tampered with the entry process. In the event of cancellation or termination, RaisingStickyHands.com reserves the right to select the potential winner in a random drawing from among all eligible, non-suspect entries received prior to date of cancellation or termination. CAUTION: ANY ATTEMPT TO DELIBERATELY DAMAGE THE WEBSITE OR UNDERMINE THE LEGITIMATE OPERATION OF THIS contest IS A VIOLATION OF CRIMINAL AND CIVIL LAWS, AND SHOULD SUCH AN ATTEMPT BE MADE, RaisingStickyHands.com WILL DISQUALIFY ANY SUCH INDIVIDUAL AND RESERVES THE RIGHT TO SEEK DAMAGES (INCLUDING ATTORNEYS’ FEES) AND OTHER REMEDIES FROM ANY SUCH INDIVIDUAL TO THE FULLEST EXTENT PERMITTED BY LAW. If you have any additional questions – feel free to send us an email! Raising Sticky Hands To Heaven will not sell or use the photos or emails associated with this giveaway in any other way. Sounds wonderful, doesn’t it? I would say you wouldn’t believe the price, but you’ve already seen it in the graphic above… But seriously, $24 for an expo of this size? That’s a bargain! If I were to travel (cost right there), stay in a hotel (more money), attend a conference… you get the picture. This way, I’ll be listening to speakers like Marie Rippel, Tyler Hogan, Molly Green, Jay Wile, and others while chatting with fellow homeschoolers. What if the kids interrupt, you ask? Not a problem. All sessions will be recorded and available to attendees to listen to later. 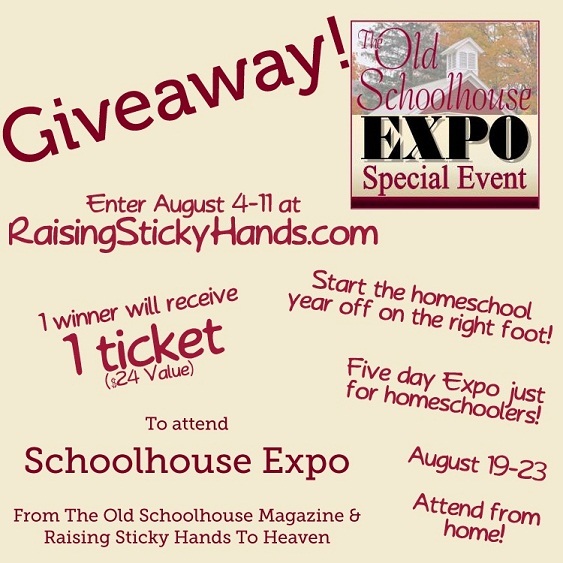 Just think, if The Old Schoolhouse Magazine is so great every month… I can’t wait to see how the Schoolhouse Expo is! The winner will be announced one week from today and will have 48 hours to claim their prize. (I’ll send the winner an email, don’t worry busy moms.) Sorry, but entry is only open to those in the United States. You can see the rest of of the terms and conditions in the widget below where you enter. Disclaimer: I was given a free ticket to Schoolhouse Expo in exchange for this post. 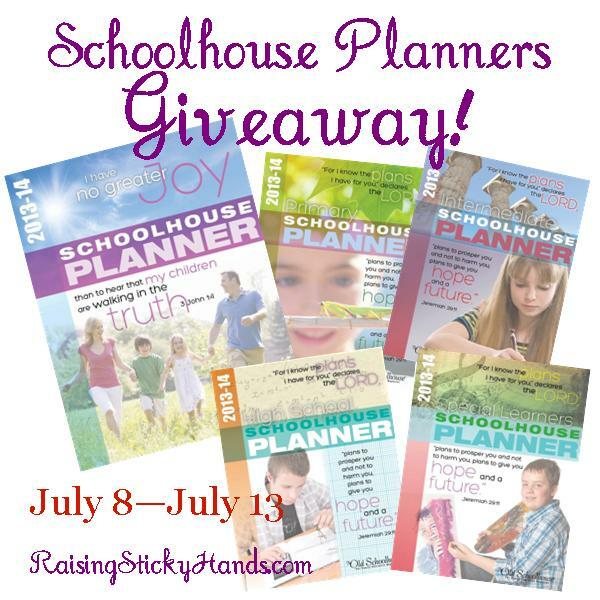 Back To Homeschool Giveaway! 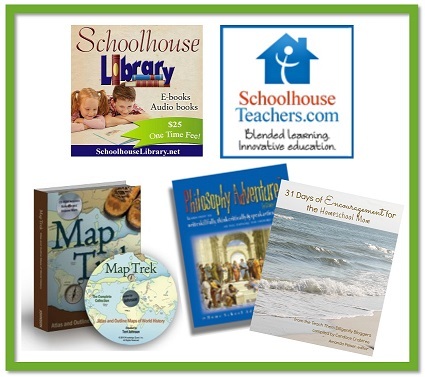 Kindle Fire HD, SchoolhouseTeachers.com, And MORE! It’s Back to school time! Some will be beginning school this week or month. Some (like our family) will begin next month. Some families have already begun the new school year! Regardless of when you begin, you likely need supplies and desire to be well equipped for the year ahead. One way to help you do that would be to follow along with 90 members of the Schoolhouse Review Crew this week as we have a 5 day blog hop, with each blogger writing about a different topic on homeschooling. I can’t wait to read everyone’s posts! 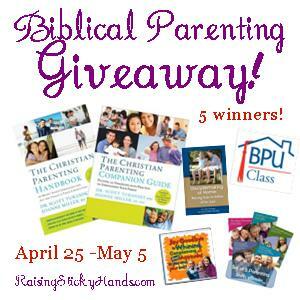 Be sure to follow along with us this week for Raising Sticky Hands To Heaven’s part in the 5 day blog hop. I’ll be writing about Crafty Lessons! A fun way to teach your children in a different approach than the norm. I’m joining with 10 other bloggers and 3 homeschool companies to give you the opportunity to win some terrific prizes to celebrate the start of the new homeschool year. 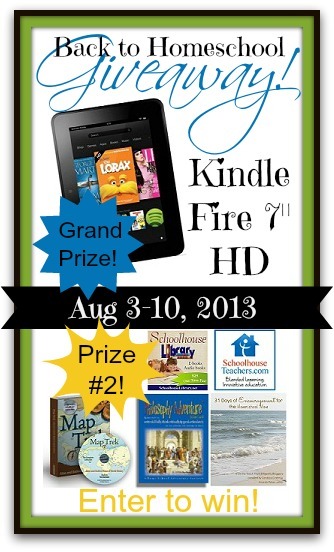 The GRAND PRIZE is a Kindle Fire 7″ HD Tablet! And because we couldn’t possibly have a Back to Homeschool giveaway without some homeschool curriculum and encouragement, a second reader will win this awesome prize package, a $284 value! Now it’s time to enter! Use the Rafflecopter below. All entries will be verified. Contest is open to U.S. Residents, age 18 and older. Other Terms and Conditions noted in the Rafflecopter. This all reminds me I need to make my list for what we need to purchase for our homeschool this year… What’s the item on the top of your shopping list for homeschool this year? This post contains some affiliate links. By clicking on them, and then purchasing a product, Raising Sticky Hands To Heaven receives a small portion of the profit. These funds go to maintaining & running our website. Thank you for using them! I don’t know about those of you that homeschool, but for me this is a crazy time of year. I scramble around trying to figure out what I’m going to do this next year and how to make it all flow smoothly. One great tool that helps me pull it all together is a planner. 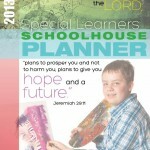 The Old Schoolhouse Magazine & SchoolhouseTeachers.com (An amazing homeschool resource website owned by The Old Schoolhouse Magazine) has been gracious to offer 1 “Big Mama” planner and 1 student planner to one of our readers! 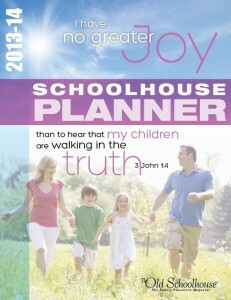 These thorough planners are PDF editable format and can be printed out as many times as needed. 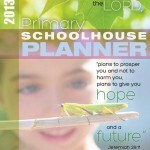 All planners are available for purchase individually on SchoolhouseTeachers.com, however if you are a member, you can enjoy them for free! The cost of membership is $3 for the first month, and $12.95 every month after that. Another option would be to join for a year at the rate of $139 and receive some extra goodies. Helpful articles written by homeschooling experts like Kim Kautzer, Dr. Mary Hood, and Cindy Wiggers, as well as homeschooling parents just like you. Interactive calendars, planning pages, field trip logs, and transcripts. Must-have lists, including books of the Bible, grammar and spelling rules, a periodic table of the elements, U.S. Presidents and more! Helpful household forms such as chore charts, grocery lists, and meal-planning charts. Helpful articles written by special needs experts like Carol Barnier, Cynthia Ulrich Tobias, and Melinda Boring, as well as homeschooling mothers of special learners. Interactive calendars, planning pages, and household organization charts. 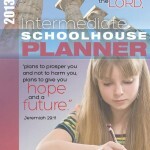 Homeschool Individualized IEP, medical and therapy forms, and weekly food and behavior diaries. Task analysis cards to help teach life skills. Engaging articles written just for primary students. Information lists such as Caldecott and Newbery award winners, grammar rules, story starters, math tables, and animal classification chart. 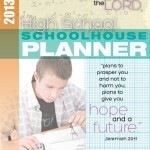 Calendars, planning pages, field trip report sheets, book and video logs, chore charts and a Bible reading schedule. Recipes for delicious dishes they can make themselves. Interesting articles written just for them. Forms for writing goals, course objectives, and book reports. A kid’s financial record, Bible reading schedules, and an address book. Encouraging articles for him written by homeschool graduates, as well as expertly written articles to help with study skills, college planning, and creating a high school course. Calendar and planning pages, record-keeping forms, transcripts, and forms for goal planning and objectives. A guide for planning a high school course of study. A college checklist, forms for tracking scholarship information, and for exploring career ideas. Logs for tracking community service, discipleship, bible memorization, and independent study. So what are you waiting for? Enter in the Rafflecopter below! Again, one winner will receive 1 Big Mama planner and their choice of 1 student planner. This giveaway will be ending on Saturday, July 13th, so don’t delay! I am so excited to share this giveaway with you all! 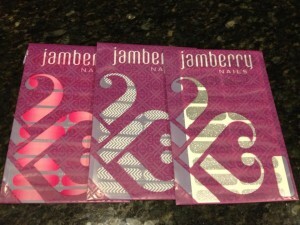 My friend, Miss Christine, has offered to give away a sheet of Jamberry Nail Shields to one of my readers. She knows that most of you are busy moms with little time to pamper yourselves, so she wanted to spoil you a little. Isn’t that just so sweet of her? 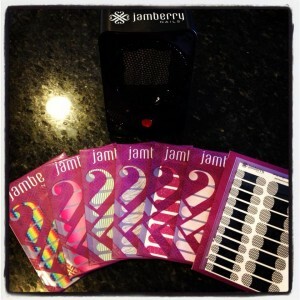 What are Jamberry Nail Shields? In simple words, they are basically little heat activated non-toxic stickers you put on your nails that can last for weeks. They stand up to almost anything. Even repeated dish washing! You cut them to size your nail just right, and can even put them on your toes. They come in so many various colors & styles, but one very cool option is that they now let you design your own if you’d like in the Nail Art Studio. 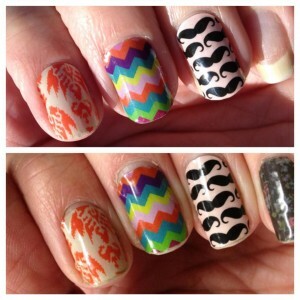 Not only are Jamberry Nail Shields more affordable than a trip to salon, but if you buy 3, you get 1 free! So it lasts longer, costs less, and you can do it at any time of day in the privacy of your own home. How cool is that? 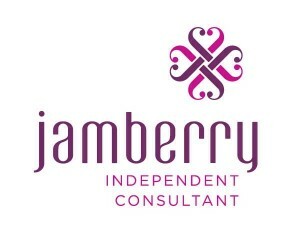 Jamberry is also now expanding into Canada, and also offers profitable fundraisers… So if your ladies group at church is looking for something new or different to raise money for their ministry, this might just be the ticket. 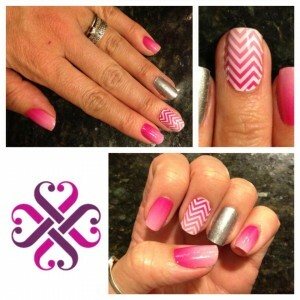 For more information on Jamberry Nail Shields, click here to visit Miss Christine’s website. You can also go to her Facebook page here. One more thing that I would like to mention is another way to win: Raising Sticky Hands To Heaven is hosting a Raising (PRETTY) Sticky Hands To Heaven Jamberry party. I have decided to give away the host rewards that would normally be mine. That’s right! One guest that orders from that party will be chosen to receive all of the host rewards. So if you are impatient to order or would like to get more than just one sheet of nails if you win, go to Miss Christine’s Jamberry Nails Website, choose Raising (Pretty) Sticky Hands To Heaven as the party at check out, and then sit back and wait for your shields to arrive in a few days. It’s that easy! I really wish I could give a set of these to each and every one of you. 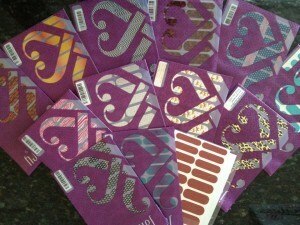 I’m a Jamberry addict, and I know you’ll just love them too. Be blessed! It’s that time of year again! The time when homeschooling parents begin planning the next school year and try to figure out how to pay for it… That is why I am so excited to help one reader obtain a full curriculum for free with this Oak Meadow Complete Curriculum Package giveaway! We have teamed up with DenSchool and Teaching with Cents to bring you this great giveaway from Oak Meadow! Enter today on the Giveaway Tools form below. One lucky reader will receive a Complete Curriculum Package (of their choice) from Oak Meadow. Imagine that, everything you need for homeschooling your child next year – for FREE! Oak Meadow has specialized in homeschooling curriculum for 35 years! They are committed to providing creative, innovative, and child-centered educational materials that can be utilized towards every family’s needs and routine. We believe that true intelligence arises when children are given opportunities to engage not only their heads, but their hands and hearts as well. Our curriculum includes assignments that ask children to read, write, and think, and also to paint, draw, play music, write poetry, and build things, encouraging balanced and healthy development. 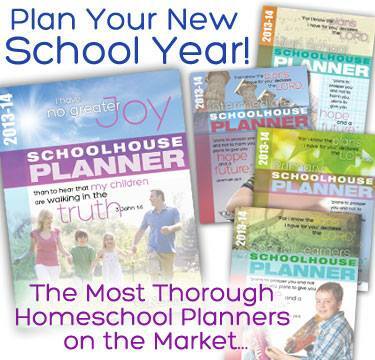 Have you begun planning your next homeschooling year and not sure where to start? Stop by DenSchool to read reviews for some of your favorite curriculum packages! There, you will learn all about Oak Meadow and what this great giveaway has to offer you! DenSchool has reviewed curriculum packages for Grades 3, 4, and 6 – with an 8th grade review coming in August! *This great giveaway is open to residents of the U.S. and Canada, ages 18+. *Giveaway ends on July 24th at 11:59 p.m.
*DenSchool Contributors, immediate family members, and group giveaway bloggers are not eligible to enter DenSchool giveaways. 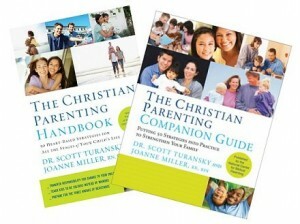 Without a doubt I can tell you right now that you want need The Christian Parenting Handbook . In fact, I believe every parent should be given a copy when they have a baby and it should be well stocked in every library. I’ve had the pleasure of reading the pre-release copy of this book and now my perspective has changed so much… But I’ll tell you all more about that in a few days when I post my review. Sounds great, right? You’re all ready to buy it? Well, I want you to wait. No, I’m not crazy. 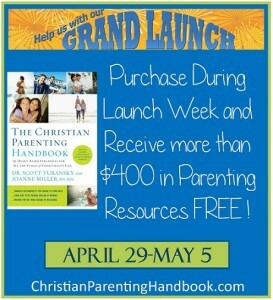 Anyone who buys the book during launch week, which is April 29th – May 5th, will receive $400 in parenting resources in a Bonus Parenting Package. NOW you want to wait, right? Parents have a job to do–pass the faith on to their kids. This book will show you how. Parents are the primary spiritual and moral trainers of their children and much of the everyday work of family life is the classroom where children learn. Say Goodbye to Whining, Complaining, and Bad Attitudes, in You and Your Kids Lesson 1 Complete Package: Includes Lesson 1 on Video, as an MP3, includes Study Guide pages, and the Kids Honor Club Children’s Program. Honor is a biblical concept that changes the way people think and the way they treat others. Honor is a relationship term and teaching honor in the family equips children with the relational tools they’ll need for the rest of their lives. 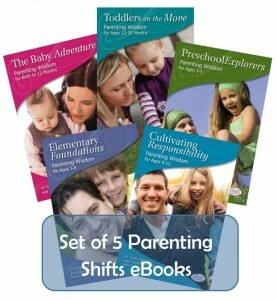 This package gives you instructions for both parents and children so that honor can transform the culture in your home. The Companion Guide is a workbook of 50 lessons along with 50 audio tips to take you through The Christian Parenting Handbook step by step. Each lesson contains advice from Dr Scott Turansky and Joanne Miller in a 5 minute audio tip and then offers teaching, an assignment, a Bible verse, and a prayer to help you apply each idea or strategy in your family. Upland, California is a near by city here in the Inland Empire of Southern California that has a lot of history. One of those bits of history is the city’s citrus. To celebrate, since 1997 they have had an event every year called The Upland Lemon Festival. This year will be no different! It will entail something for the entire family with tribute bands, a Lemon Pie-eating contest, attractions, rides, a mini circus, a western round-up… and a singing contest titled Lemon Idol! The Upland Lemon Festival wants to bless one of you fine readers with 6 (six) carnival ride tickets and 2 (two) two-for-one carnival game tickets! To find out more about The Upland Lemon Festival, Click Here! 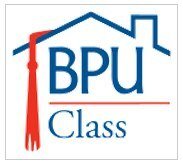 This contest begins at 7:15 pm on April 16th, 2013 and will end at 7 pm on April 20th, 2013. It is open to those who are over the age of 18 and living in Southern California, USA. Raising Sticky Hands To Heaven is NOT responsible for the delivery of the prize and the winner must respond to the notification email within 24 hours in order to qualify. If the first chosen winner does not respond, another winner will be picked. At that time the winner’s contact information will be forwarded to The Learning Centers at Fairplex for the prize to be awarded. Facebook, Twitter, Pinterest, Google+, and all others are released from liability. 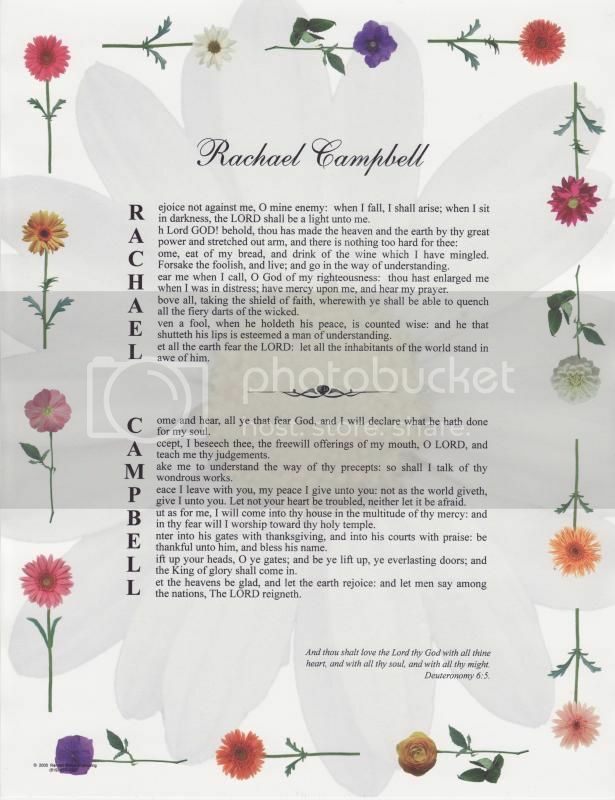 Bible Verse Gifts offers many unique personalized gifts. Birthdays, weddings, baptisms and christenings, Mother’s Day, Christmas, 1st communions, confirmations, pastor appreciations…any occasion! In over 20 different of styles. 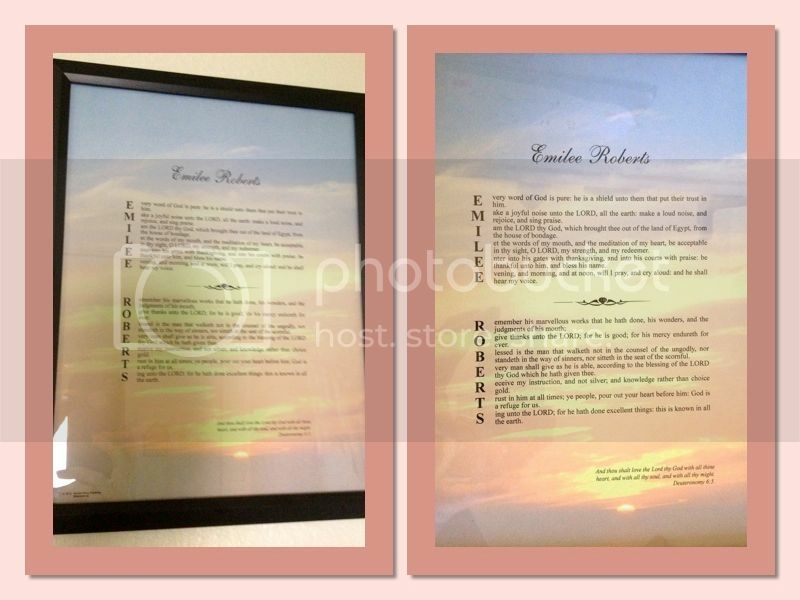 Check out the full Your Name in Bible Verse Certificate review on Pea of Sweetness! About the Giveaway: This giveaway begins on 3/20 and ends on 4/3 at 11:00pm (times are CST) and is open to US and Canada ages 18+. Please refer to the full terms and conditions in the Giveaway Tools. The Prize: One lucky winners will receive a Your Name in Bible Verse Certificate! Bible Verse Gifts needs your help selecting the design for their next certificate! Simply visit the site listed in the first entry and select your favorite! That’s it! Then the rest of the entries will open! You can also receive a 30% off coupon for entering your e-mail (optional)! Good luck! Disclosure: I received no compensation for this publication. My opinions are my own and may be different than yours. Raising Sticky Hands To Heaven is not responsible for prize fulfillment.